Foreign Ministry’s chief of staff recruited expats to rally outside of legal proceedings in D.C. The government of Ecuador organized protests that took place outside the building where a legal dispute between the South American nation and oil giant Chevron was being hashed out, documents obtained by the Washington Free Beacon reveal. A top official at the South American nation’s foreign ministry recruited expatriates in the United States to join an April rally outside of proceedings of the International Arbitration Tribunal, the documents show. An after-action report filed by Davila Aveiga Grace Patricia, who is listed as the chief of staff of the country’s Ministry of Foreign Affairs and Human Mobility, shows that various Ecuadorian agencies were collaborating to put a public face on the protests. Patricia flew from Guayaquil, Ecuador, to New York, where she met with Ecuadorian consul Jorge Lopez, the report says. They planned activities during the arbitration "with the participation of Consuls, expatriates, political leaders, Embassy and Foreign Ministry team." Patricia then few to Washington for the arbitration session, which took place under the auspices of the Bilateral Investment Treaty (BIT) between the United States and Ecuador. Patricia devised a "strategy for action, dissemination, and denunciation that has a bearing on the meetings about Chevron." She also worked to get "expatriates to join and resume [the] campaign against Chevron." Promotional materials criticizing Chevron and handed out during the arbitration proceedings feature the official seal of the foreign ministry. The documents "confirm that ‘public protests’ in the Chevron case are merely political theater stage-managed by the Correa government," said Jose Cárdenas, a former senior State Department and USAID official, referring to Ecuadorian President Rafael Correa. The BIT, signed by President Bill Clinton in 1993, is meant to facilitate investment between the two nations. It gives private companies in either nation an avenue for resolving disputes with the other country’s government. The Ecuadorian government’s efforts to affect arbitration proceedings through public protests suggest a lack of respect for the treaty’s dispute resolution mechanisms, Cárdenas suggested. "It is certainly grossly inappropriate for a government to be organizing protests before an international tribunal like this," said Cárdenas, now an associate with the lobbying firm Visión Américas. Neither Patricia nor the Ecuadorian embassy in Washington returned requests for comment. Correa has been a long-time critic of Chevron, which has fought efforts to enforce a $9 billion environmental judgment against the company obtained in an Ecuadorian court in 2011. A U.S. federal judge ruled last year that the judgment was obtained through a criminal racketeering scheme. 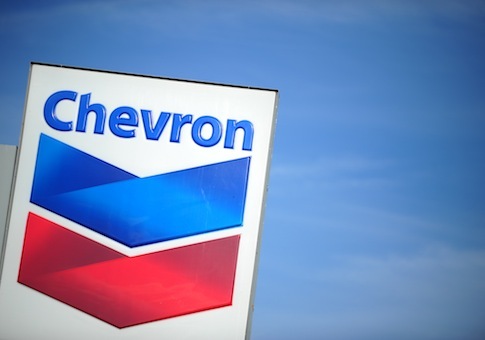 Chevron brought charges against Ecuador before the International Arbitration Tribunal in an attempt to prevent the government from enforcing the judgment in other countries. It charged that Correa and other government officials had improperly influenced court proceedings in Ecuador. Outside of the arbitration proceedings, the foreign ministry distributed leaflets accusing Chevron of conducting "a political smear campaign against the Ecuadorian government," among other charges. The Ecuadorian government has long denied that it was involved in obtaining the judgment against Chevron, insisting that the court’s proceedings were objective and apolitical. However, these documents reveal a campaign by high-level government officials to pressure Chevron into complying with a legal process that the company has long maintained was tainted by bribery and extortion. For Correa and his government, the legal niceties of the case are of less concern than the case’s potential for political agitation, Cárdenas said. "Theater is more important in the mind-set of these leftist populist governments … than any impartial review of the facts," he said. "In the populist world-view, any ‘rules’ are made to be broken because they were set-up by ‘imperialist’ powers to exploit the smaller and weaker states. … Facts don’t matter. It’s all political."